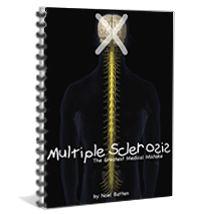 In this eBook you will read an incredible survey carried out on 42 cancer patients who achieved remission that lasted for more than four years, while I kept track of them as my clients. In this eBook you will read how the cause of cancer has been recorded in medical journals for years but the pharmaceutical section of the medical profession ignores the other section of the medical profession that recorded these findings. While contemplating a medical career, I spent considerable time researching the medical approach to health and attending workshops at Mount Olivet Hospital, a hospital that specializes in terminal cancer patients. During this time I soon realized, even the medical documentation that explains the cause of cancer and how to overcome it without the use of pharmaceutical drugs is totally ignored and the medical research available is overwhelming to say the least. You “CAN” overcome cancer, and in some cases, when caught early, with complete and long-lasting success, but you “MUST” follow the ideals used by cancer patients themselves, who have actually achieved remission, and they follow principals that were used in hospitals many years ago, but in my opinion, they were stopped when pharmaceutical drug companies took control of the training of medical school training. Because I watched my mother overcome cervical cancer when I was sixteen, while she was under the supervision of Dr Dines, one of our family medical doctors who was a staunch Christian who understood the truth about how to overcome cancer, when I attended workshops in Mt Olivet Hospital and I listened to the resident medical doctors teaching the interns, I knew then that what they teach in hospitals about cancer side-steps the truth and opposes truthful Christian ideals. All cancer patients have blood that is excessively low in oxygen, and extensively high in waste and toxins to the extent that adequate oxygen and essential nutrients cannot be delivered successfully throughout the body. This is the main reason that healthy cells begin to ferment and become cancerous. The causal nutrients lacking from the blood are Potassium and Calcium. This is the leading anatomical breakdown factor. The leading psychological breakdown factor experienced by all cancer patients is that the ongoing psychological stress experienced by each and every cancer patient in the years preceeding their diagnosis of cancer, causes a serious decrease to the healthy release of the immune hormones Dopamine (the hormone of love), and Interferon (the hormone of personal expression and achievement). This ongoing stress also causes a serious increase of the stress hormones cortisol (the hormone of sadness and depression), and noradrenaline (the hormone of frustration and unforgiveness). — The type of stress experienced by all cancer patients is extremely well-documented in many medical journals world-wide, as “inability to cope with the loss of a loved one, or the loss of a prosperous lifestyle” and suppressed frustration over being suppressed from having freedom of expression and personal achievement, which leads to sadness and depression. — These medically proven facts are so well documented in medical journals, which I supply in this eBook “Cancer The Greatest Medical Disgrace” that it is criminal that medical doctors are allowed to tell cancer patients that cancer is incurable, and that the medical profession does not know what causes cancer! All cancer patients experience loss of interest in setting personal goals because their hope and faith have been destroyed by the medical doom-and-gloom which further compounds the anatomical fatigue and psychological stress they have already suffered from, usually for many years. Therapists from all over the world who specialize in autoimmune disorders have been helping cancer patients overcome cancer for many years, sometimes with complete and long-lasting success, by overcoming these two groups of causal factors, but because medical doctors go to so much trouble to convince patients, cancer is incurable, most cancer patients don’t know about this option, and often don’t believe, because they trust medical advice with their life. When will Governments of the world put a stop to this disgrace, and combine medical treatment with the natural ideals that have proven to put a stop to suffering and premature death??? 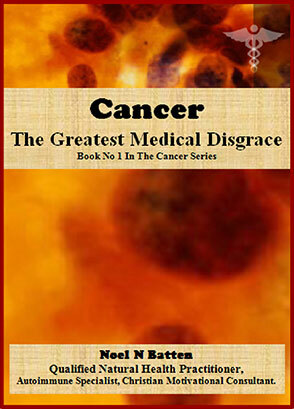 In this book “Cancer The Greatest Medical Disgrace” I supply “many” medical journal references that prove beyond any doubt, the causes of cancer and how to overcome it, have been well-documented in medical journals, “in scientific detail” for many years yet cancer patients are still being told, the cause of cancer is not known and it is incurable. 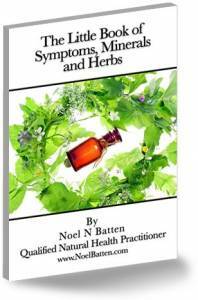 One of several success stories I supply in this eBook, Case History Bill, (56 years of age), overcame bowel cancer completely in five weeks after attending my Personal Treatment Program. Before coming to me his doctor had told him his only option was to have most of his colon removed, and warned him that he may never recover from the operation, to return home. My success with this patient is by no means a rarity and was not a coincidence. I am not saying every cancer patient can achieve remission with such speed but the possibility of remission is being accepted more and more these days due to cases like this and due to the many books being published by the increasing numbers of cancer patients who achieve remission. 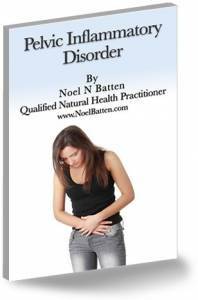 In this book, “Cancer The Greatest Medical Mistake” I explain “every detail” of Bill’s treatment, for others to know exactly what to do to overcome bowel cancer and I offer case histories relating to many other types of cancer to help individuals with their personal circumstances. There are four foundation causes you “must” deal with to gain long term success and several secondary factors common to each different type of cancer, which I list in detail in my book. Four things you “MUST” address, to achieve long-term remission over cancer There is a huge amount of medical documentation that proves, most cases of cancer are caused by an overactive nervous system, poor digestion which also leads to unclean blood, poor breathing and, loss of R.E.M. sleep, which is caused by suppressed anguish and ongoing emotional stress, and it can all be overcome. This book will also give you all the medical information your doctor and oncologist “should” be telling you about cancer, but aren’t, simply because they are taught by pharmaceutical drug company lecturers at medical school, to concentrate on the sales of pharmaceutical drugs. Medical doctors are practicing medicine and to ensure sales, drug companies offer financial opportunities to share in the enormous drug company profits, which is why the curative documentations are overlooked. After being involved in the medical system and observing this disgraceful injustice first hand I have seen that it is far more than just an innocent mistake, it is a medical disgrace of major proportion that is encouraging untold suffering and costing the lives of many men, women and children. If your doctor or oncologist has informed you cancer is incurable, ask yourself the following two questions. 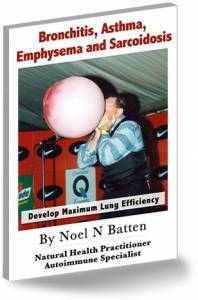 Why is it so many cancer patients are overcoming cancer themselves and writing books that explain how an overactive nervous system, poor digestion, poor breathing and loss of R.E.M. sleep, caused their cancer and how all of them have overcome their cancer by overcoming these four factors, which requires no medical knowledge or pharmaceutical drugs whatsoever? Why is it we can walk into almost any major book store in almost any major city in the world and purchase a vast array of books written by cancer patients who have overcome their cancer using these same methods, yet medical researchers are not interested in investigating their success, simply because it eliminates the use of pharmaceutical drugs, radium treatment and chemotherapy? This attracts a terrible disrespect to the medical profession in light of the fact medical doctors swear on their Hippocratic Oath to God, to place the patients welfare first. Patients who only improve their eating habits and go on blood cleansing diets, often do not achieve remission or they experience reoccurrence of their cancer within twelve months Obviously, poor diet, cigarette tar, and chemicals etc, also have an influence in cancer, but medical documentation supplied in my book will show you, these things are only secondary and if the overactive nervous system, poor digestion, poor breathing and lack of R.E.M. sleep are not effectively addressed “as well as diet and blood cleansing”, cancer will continue to progress, or, if it goes into remission, it may easily reoccur between twelve months to three years. If you are reading this article because you have cancer, you can overcome your cancer permanently, if you learn to: Relax your autonomic nervous system by regularly practicing Inner Release Relaxation Spend the three hours between sundown and bedtime applying Positive Perception to your daily routine so that you improve your R.E.M. sleep capabilities, Improve your digestion and absorption of nutrient as well as following my 14-day blood cleansing diet, — and, Improve your lung efficiency and blood circulation through blood flow exercises and take herbs to encourage cell oxygenization. Do not listen to people who tell you cancer is incurable! If anybody tries to tell you improving in these four areas cannot overcome cancer and that cancer is incurable, do not listen, even if that person is the best oncologist in the country. If this happens, tell that person to email me and I will supply the medically documented evidence, the case history evidence and the personal success that will put them well in their place and stop them from robbing you of your chance at life. If you follow my factual steps to remission that help overcome these four causative factors, you will have the potential to overcome your cancer within ten to twelve weeks, providing you catch your cancer reasonably early and you have no irreversible damage to any of your immune system functions. If you are told you do have irreversible damage to any organs, ask for absolute test result proof to confirm such a claim before you believe it, because many doctors guess this prognosis, and if you “are” given the proof, don’t give up. I have seen people achieve remission even though they have experienced supposed permanent organ damage, but they have taken longer than twelve weeks to achieve their success. In a vast majority of cases, when medical diagnosis declares an organ has incurable damage, it is because a misaligned vertebra has pinched the nerves that operate that organ, which stops that organ from receiving healthy nerve signals, and rectifying the misalignments and improving R.E.M. sleep, the only time our body cells heal, often allows the organ to begin repairing itself.